If you are interested in football betting, make sure you download our FREE review of the unique auto-pilot ‘Wisdom of Crowds’ football system, which is making waves at the moment. Download the review in PDF form via this link. This football service is unique due to its setup, given that it uses automated bet placement software to get each bet on for those following it in. Instead of charging a high fee for access, Wisdom of Crowds also take a small % of returns to further set it apart from many other ‘traditional’ tipping services. With strong profits made so far, our review explores all aspects of the Wisdom of Crowds service including how the automated software works and our findings in real-life testing. No stone is left unturned in our analysis. This review of The Wisdom of Crowds is another great example of how a membership of the Smart Betting Club can help provide you with everything you need to make money betting using tipsters. You can now read our original SBC review of his service in full for free. Simply click the link below to download your special free PDF. Missed Our Other Free Review? If you are a racing fan or even a fan of good tipsters in general, make sure you don’t miss out on the other FREE SBC review of ‘The Value Bettor’ service. Since we began proofing his tips in 2012, he has made a Return on Investment of 35.1% from 1,305 bets advised and continues to impress hugely. Already for the current, ongoing NH season (for that is his specialty), The Value Bettor is up an extra 16 points profit @ 31% ROI from his first 52 bets of the year, with more profits expected over coming months. These reviews are indicative as to the level of detail the Smart Betting Club team goes into when analysing a tipster we recommend. We don’t simply put forward a tipster based on a few months results or a streak of good form, but genuinely long-term stats that demonstrate they have a clear edge on the bookmaker. A tipster has to tick a lot of boxes to get through the Smart Betting Club review process and come out the other side with our recommendation. After all our goal is not to help you beat the bookmaker for a few weeks or months but for several years to come. If you enjoy these free reviews and are keen to learn more on many other tipsters just like The Value Bettor and Wisdom of Crowds, then you might like to consider a Smart Betting Club membership. They are just 2 of many tipsters providing advice across a range of sports and markets that we track, analyse and recommend for Smart Betting Club members to follow. Upon joining, you gain full access to our ‘Hall of Fame’ listings, which features more than 20 other recommended tipsters of high quality that we independently recommend. Discover more on how the SBC team can help your betting. Earlier this month saw our publication of the very latest SBC Best Tipster Guide review – our take on the outstanding football insider tipster with 12 seasons of profits behind him. Since the start of the 2016/17 season alone, he has made a 87.6 point profit from 583 bets at 11.5% ROI and averaged 80% bank growth each season to outline just why he rate him so highly. But its not just this recent record behind our recommendation, but several other key points ranging from his longer-term profitable record, his football & betting connections, his suitability for exchange or bet broker only punters and his laidback betting approach. These tips come from a very well connected source indeed who holds a variety of roles in the football and betting world. 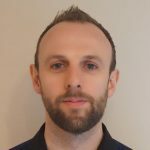 Not only does he run this tipping service but he also works as a ‘Next Opponent Analyst’ – a role which takes him to any number of matches, each of which he will watch with an analytical eye and allow him to assess teams’ form and relative strengths and weaknesses. His contact book is also very well stocked with connections in both the football world (scouts, coaches, ex and current professional footballers) and the betting world (traders, pro-punters, syndicates) that marks him out as a true ‘insider’ with a network that is second to none. This tipster is one of the longest running services we monitor here at the SBC. It opened its doors to paying customers back in 2006 and we first reviewed it way back in SBC issue #27, first released in July 2008, more than a decade ago. Following sustained profitability this service was inducted into the ‘Hall of Fame’ in 2012 where it has remained since, which is testament to the consistency in profits produced over the years. It’s fair to say that to maintain an edge in the betting markets for twelve years, you must become a genuine expert within your chosen field. Our research into the service revealed that 80% of the bets advised are best priced with either an Asian firm or a Betting Exchange, which suggests that this is a service you can follow without access to UK high street bookmakers. This is also not a service quoting early, unavailable prices with little-known bookmakers as it focuses on the main betting markets (1X2, Asian Handicap & Over/Unders) when plenty of money is swishing around. The service works based on a theme titled ‘laidback betting’ which means easy instructions, available markets and a commitment to steady, incremental gains underpinned with an aversion to morale-sapping losing runs. This is also reflected in the number of bets each week, where you can expect between 3 to 5 as a average for each set of weekend fixtures and an outlay of between 4 to 7 points in total. Whilst you can simply place the bets and walk away as per the ‘laidback betting’ concept, for those of you after more detail on the reasons behind each tip, you can enjoy access to a informative write-up as to its selection. Whether it be a tip on ‘Peterhead’ in the Scottish Cup or Real Madrid in the Champions League, the detail supplied is second-to-none and provides all the confidence needed that your bet is well researched. As an SBC member you can save £100 on the cost of a full season (pro-rata discounts also available for shorter periods) with this particular expert as part of the Tipster Savings we negotiate on your behalf. Full details on this tipster plus a further 12 other recommended experts can be accessed now through the SBC’s Best Tipster Guide. Available now via the very popular Platinum ‘Pro Punter’ membership (our complete package). What Is The Best Tipster Guide? The original 2016 Best Tipster Guide, which featured our first 5 top-rated tipsters, each of whom have also continued to make a profit since inclusion. By purchasing access to the Best Tipster Guide through a Platinum SBC membership, you will receive full access to all 13 detailed tipster reviews and unique tipster discounts. Read more on how the Best Tipster Guide can help YOU!